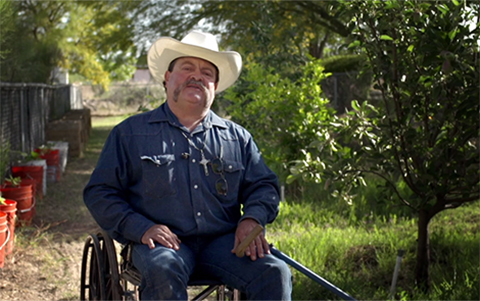 Short documentary Man in the Maze reminds us that fixing our broken food system isn't as hard as it seems. There’s an offcolor joke about solving the world’s problems by feeding the homeless to the hungry, but a short documentary Man in the Maze is offering real, actionable solutions to the issue of food insecurity. The short—which was jointly produced filmmakers Phil Buccellato and Jesse Ash, and Food Tank, a food systems think tank—was one of this year’s Sundance Short Film Challenge winners. The Bill and Melinda Gates Foundation backed competition awards short films that address global issues such as poverty and hunger. 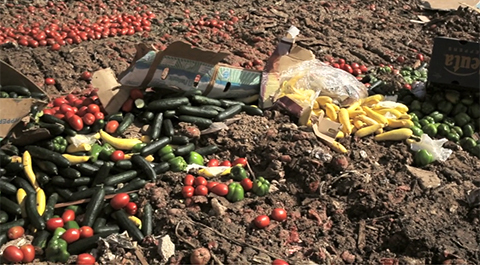 The film tackles an overwhelmingly large problem: a broken food system where tons of produce goes into landfill each day in areas where people don’t have enough fresh food to eat. But it breaks the issue down to a manageable size by telling small stories gathered from various corners of Southern Arizona. The films follows individuals who are making modest but meaningful change in their local communities, by rescuing wasted food from landfill or teaching people how to garden sustainably. Mexican-grown tomatoes, peppers, and cucumbers go to waste. The film is slated for distribution soon, but in the meantime you can watch the eight-minute doc on Vimeo or the Arizona Daily Star’s website. Take a look—it’s uplifting to be reminded that you don’t have to be Bill Gates to make a difference in the world.